You love the movies, now get the puzzle! 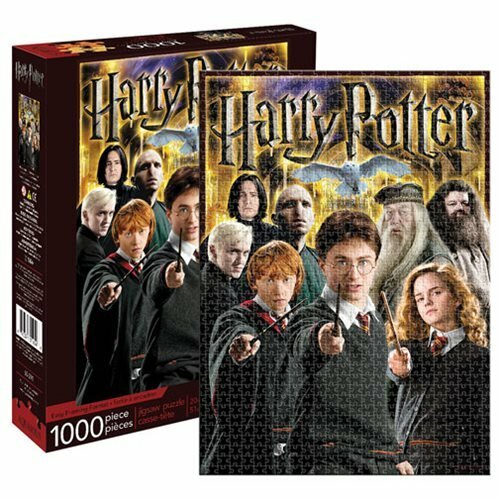 This 1000 piece jigsaw puzzle features the major characters from the hit Harry Potter films. It measures 27-inches tall x 20-inches wide! Ages 14 and up.